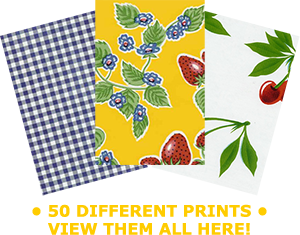 Our oilcloth table runners are just right for a splash of color, a fun way to be creative, or for holiday spirit. Our oilcloth table runners include an approximate 6” drop at the ends. Sizes are approximate. *Contact us for special orders.